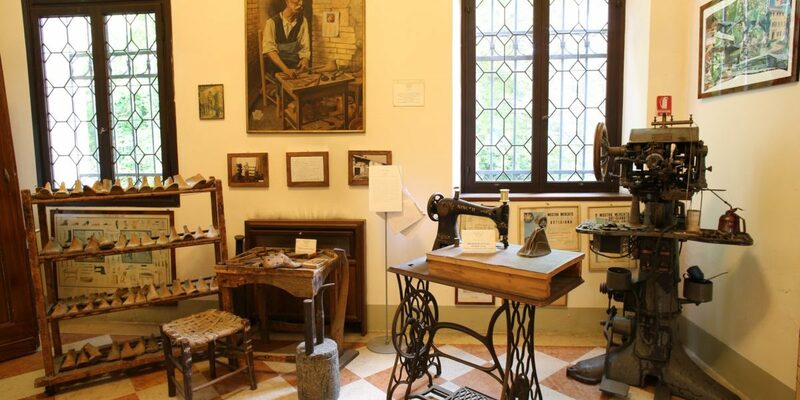 Villa Foscarini Rossi is a museum showcasing designed shoes by some of the most famous Italian, American and French designers. 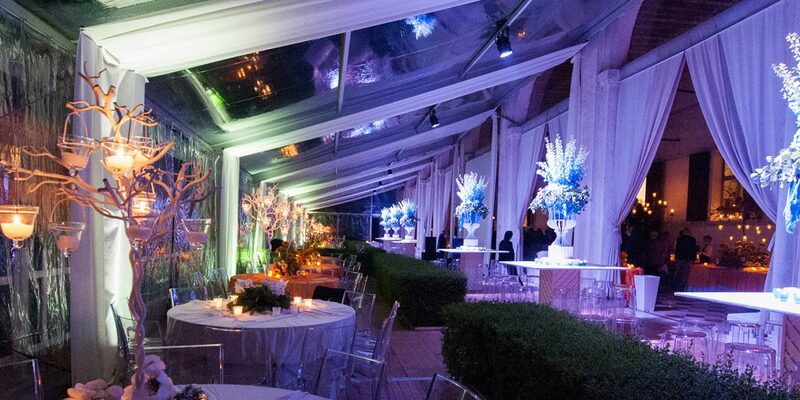 The location is also ideal for organising meetings, parties, graduations, gala dinners and conferences. The tour with Viaggi di Architettura allows you to see both the Shoe museum as well as the so-called frescoed Ballroom (in the Barchessa). We will show you around this wonderful location with our specialised guide. 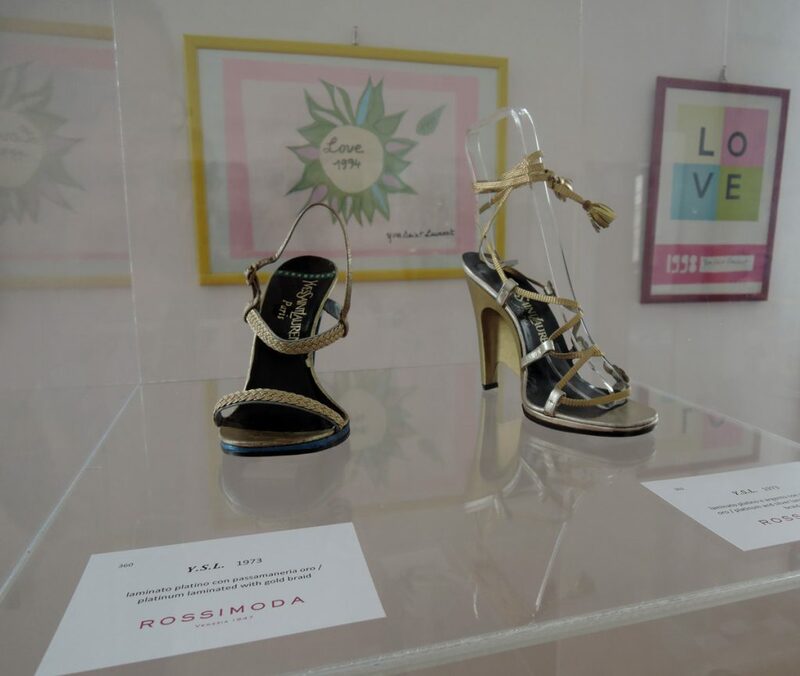 It all began with Luigino Rossi, the president of Calzaturificio who initiated the creation of the museum of footwear, exposing more representative pieces created by the company Rossimoda which produces luxury women’s shoes for high fashion brands. 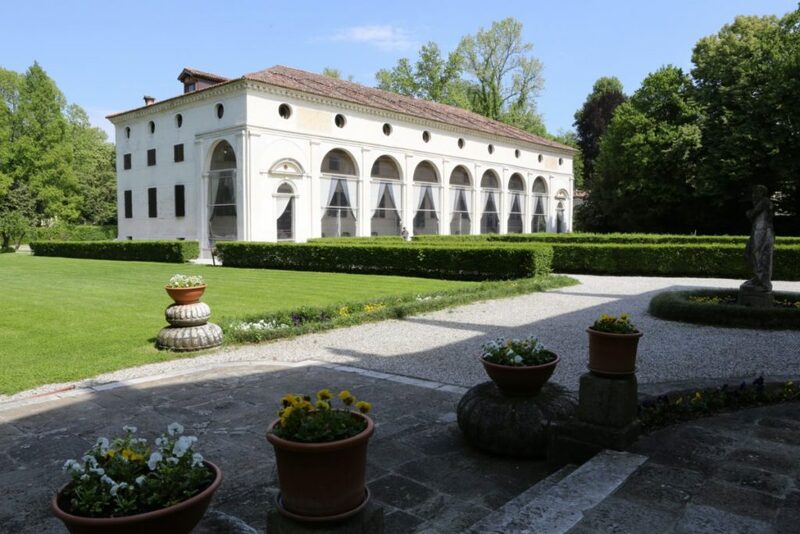 The seventeenth-century architectural complex of Villa Foscarini Rossi is located in Stra, between Padua and Venice, along the banks of the Brenta river. The museum contains more than 1500 models of women’s shoes, produced by the company since 1947 to present day; the result of his collaborations with the most prestigious designers of the international scene. It also hosted a small but valuable collection of Venetian shoes of the 1700’s and 1800’s. Villa Foscarini Rossi used to be a summer residence of the Foscarini family but the mansion is now open to the public eye. It currently houses two permanent exhibitions. One being “Calzature d’Autore” (which means authored footwears) which features the models produced by Rossimoda and the other one features a part of the modern art collection from Luigino Rossi. 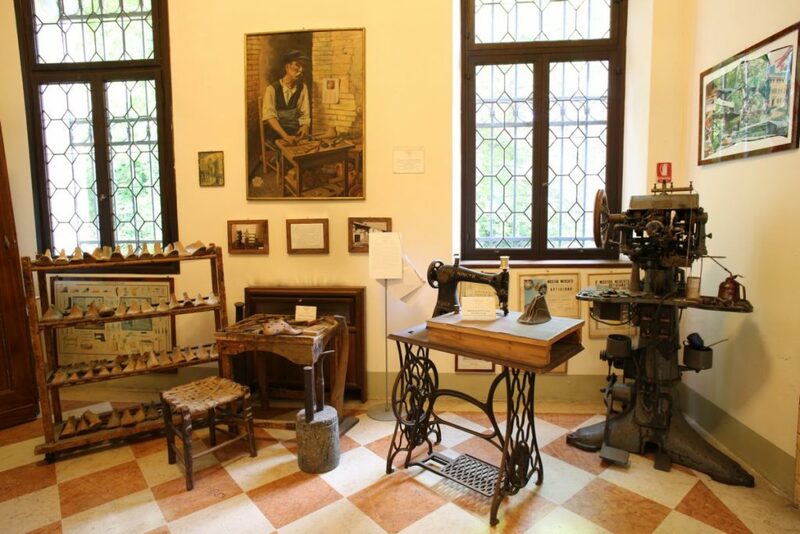 Villa Foscarini Rossi is located approximately half a kilometre from Villa Pisani, so we suggest to visit both of them on the same day. 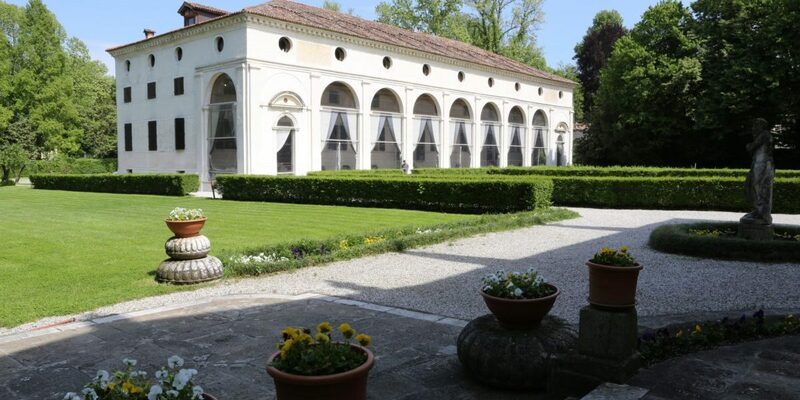 As mentioned, Villa Foscarini Rossi is located along the banks of the Brenta River (i.e. Riviera del Brenta). The river runs all the way from downtown Padua across the countryside of Veneto. The river is navigable by boats, including the well-known Burchiello, a boat that used to transport noblemen from Venice to the countryside and is now known as a tourist attraction. With our tour, you will experience the wonderful sights of this river and its surroundings. For information, reservations or special requests on routes dedicated to the city of Venice by Viaggi di Architettura.